The newly introduced Realm range will treat Skipper, family and friends to unforgettable new experiences: sure set your boating adventures off in complete comfort! 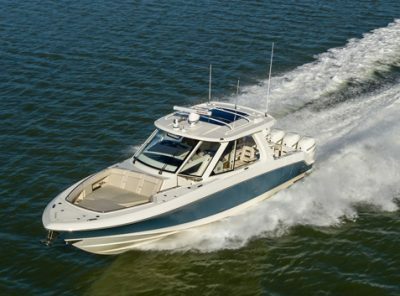 Designed to deliver all the open-cockpit versatility of a centre console with the protection and comfort of a cabin cruiser, the first model launched is the 350 Realm, soon to be followed by the 380 Realm. Whether exploring, entertaining, fishing, diving or just playing about the state-of-the-art navigation and propulsion technology makes the Realm a breeze to operate. 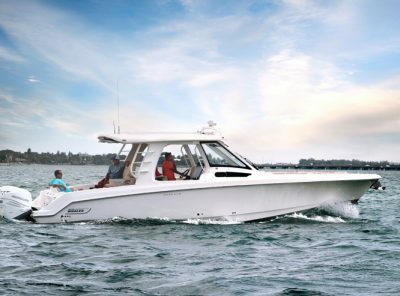 This exciting new range from Boston Whaler offers superb handling with breathtaking performance and top quality construction.